Really want a BMW skid car. Do it! They’re so cheap (especially Compacts) that you might as well. Planning on learning to drift in this, before selling it to get something more desirable like an S Chassis. Won’t be too fussed about using this one as a wall banger when I get it to some events, especially since parts are so cheap and readily available. If you were going to get one though, you’ll probably want to do something about power. 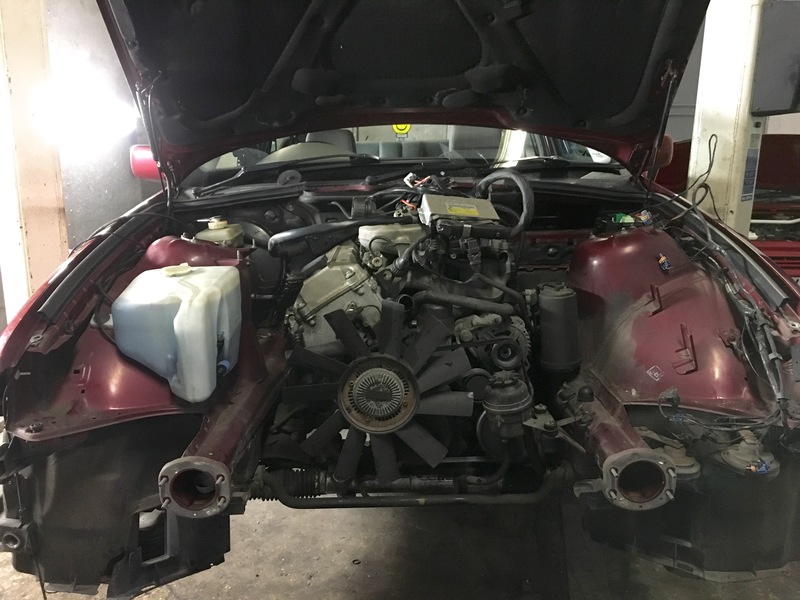 2.3/2.5/2.8L cars are generally more expensive, however engine swaps are so easy (since they’re literally plug and play) that it’s viable to do on a budget. 1.6L cars do drift, but you have to be brave and go in at speed. Good for learning in the wet, though! Last Edit: 26 Aug 2017 14:44 by loopdeloop. Thanks mate! £1,000 might be pushing it a bit, though... It's still kind of tatty. 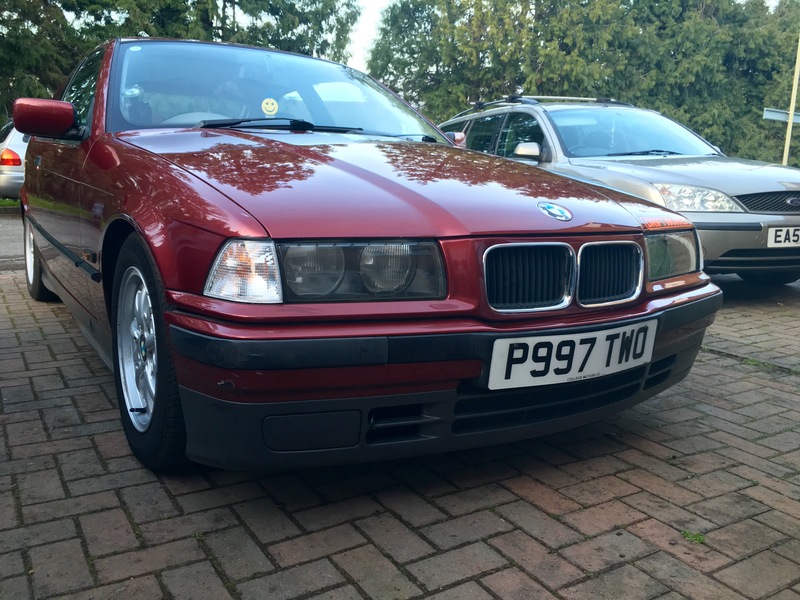 Wing mirrors don't match, scrapes on the bumpers and the interior still isn't the best. £500 is probably more realistic. Fitted my boss kit and Momo steering wheel the other day. Looks and feels great, but the indicators don't self cancel any more (it was only a cheap boss) so I've ordered a Driftworks one instead that should sort that nicely. Got a pair of clear front indicator lenses to go on as well, which should look a lot better. And a new emblem/badge thing to go in my gearknob since the current one looks weird. Ordered a new handbrake and gear stick gaiter too, since the current ones are ripped. Fitted my new clear indicator lenses. Really seems to improve the look of the front of the car. 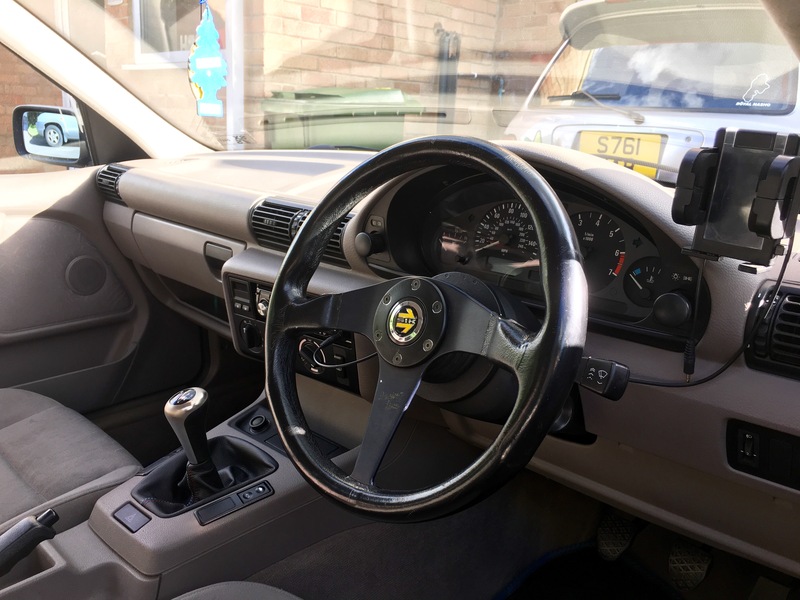 Also fitted my new steering wheel (twice). The first boss kit I got was cheap, and wouldn't self cancel the indicators. I found this pretty annoying, so purchased a Driftworks boss that not only fits a lot better, but self cancels the indicators for me as well! 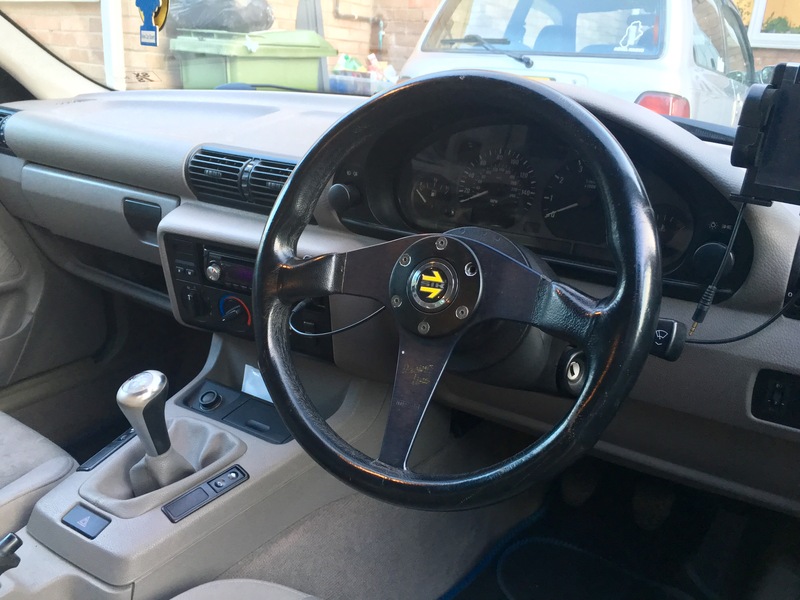 It's a genuine Momo wheel, with a fake Momo horn button Need to replace one of the bolts on it though. Apparently removing them twice has caused one of them to round off, completely. Last Edit: 23 Apr 2016 22:37 by loopdeloop. Finally sorted my steering wheel. Also fitted new handbrake and gear stick gaiters, as well as replaced the emblem in the top of the gear knob. Looks a lot better, but the carpets and seats could do with being cleaned properly. Can't wait to get my hands on a Rug Doctor and sort them out, but I'm waiting for the weather to warm up first so that they're not wet for ages afterwards. Also fixed a wonky grill with some superglue. Last Edit: 27 Apr 2016 00:29 by loopdeloop. 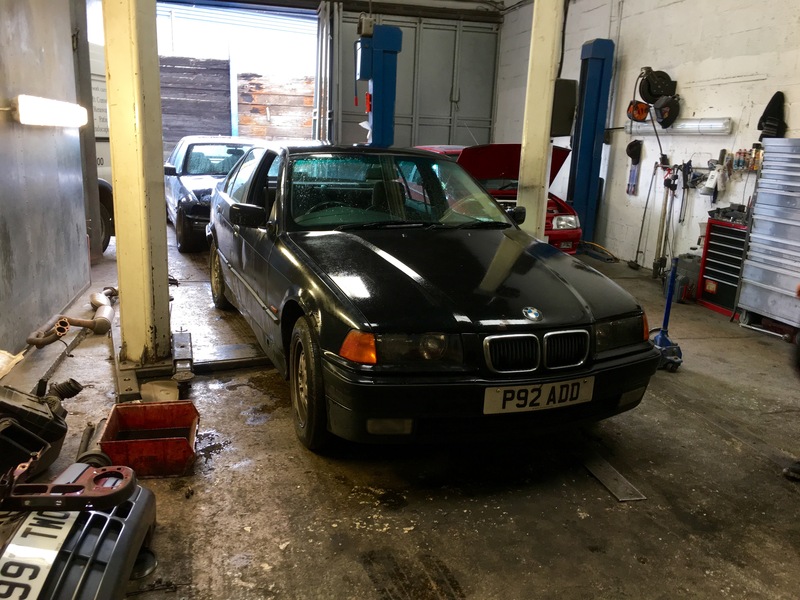 So on Friday, the car drove into the workshop under the power of it's 1.6L engine for the last time. (Hopefully). 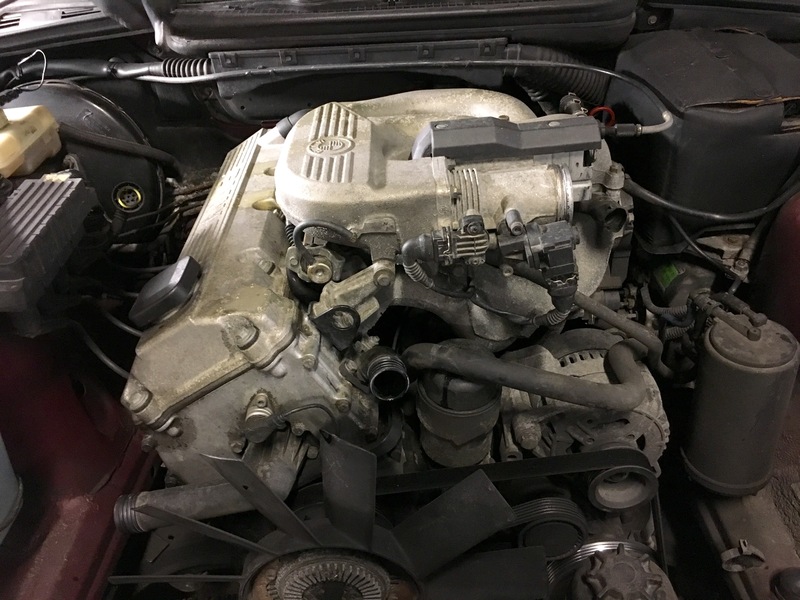 The M43B16 1.6L engine has served the car well for 114,000 miles. And in the 2000.3 miles that I drove it, it never missed a beat. M50B25 waiting to be dropped in. Needed to do some work to it before hand, though. The engine has had a somewhat interesting history. 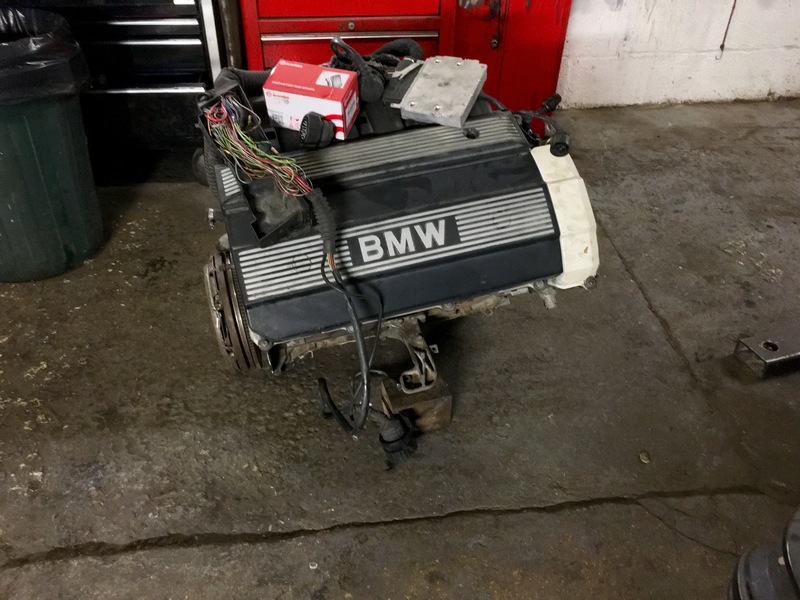 I believe it was originally removed from a 525i, before being transplanted into my friend's E36. 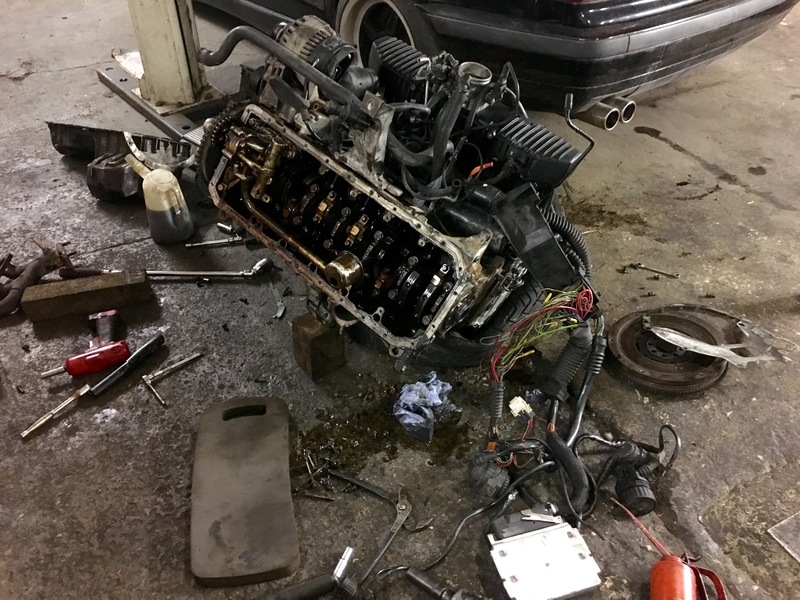 It was then removed to make way for an S50B30 M3 engine, and then put into another friend's E30, where it was never completed or driven. 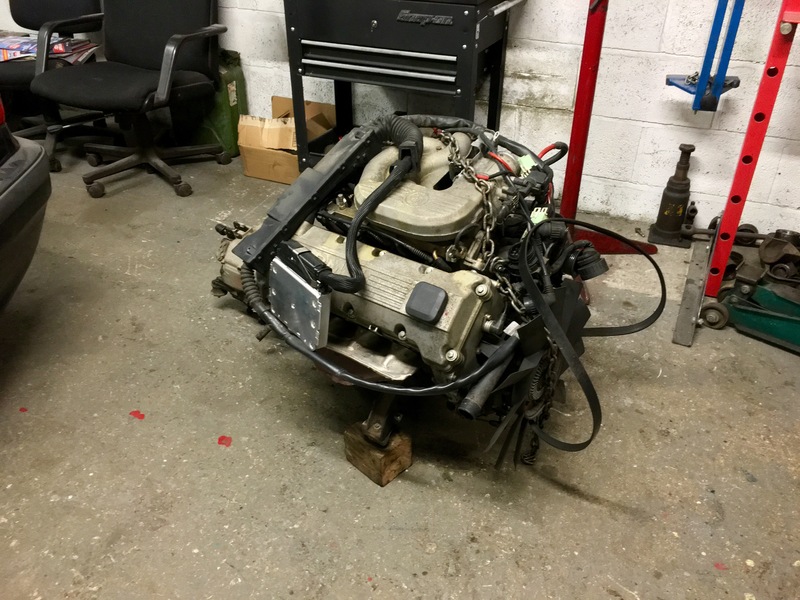 However, for it to fit into the E30 engine bay, the sump had to be changed for one with the oil pool at the other end of the engine (the front) and a shorter oil pickup was installed. This, along with the removal of the splash guard, resulted in the engine that I'm using. So, we needed to swap the sump over to the original one, along with a longer oil pickup and fit a new splash guard. We already had the sump, but were missing the oil pickup and splash guard. We also needed a new alternator. 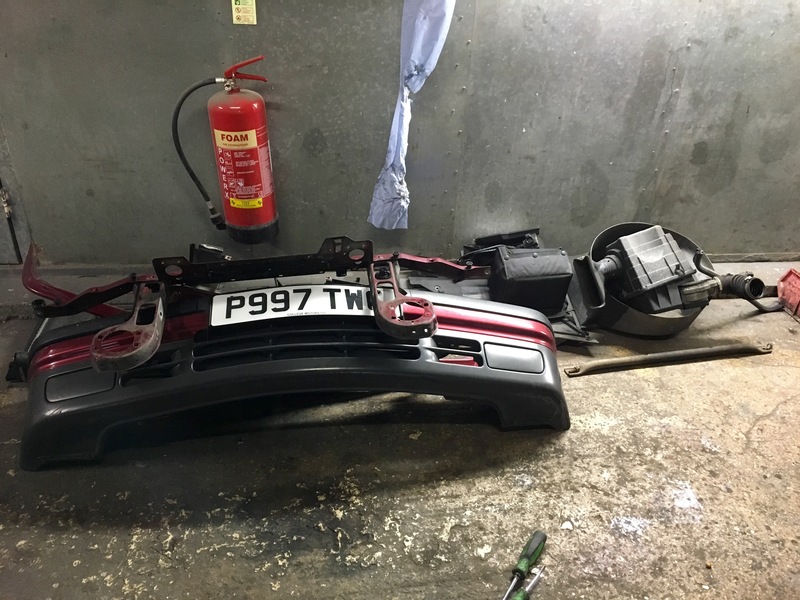 So, we found a donor car to steal some bits from. 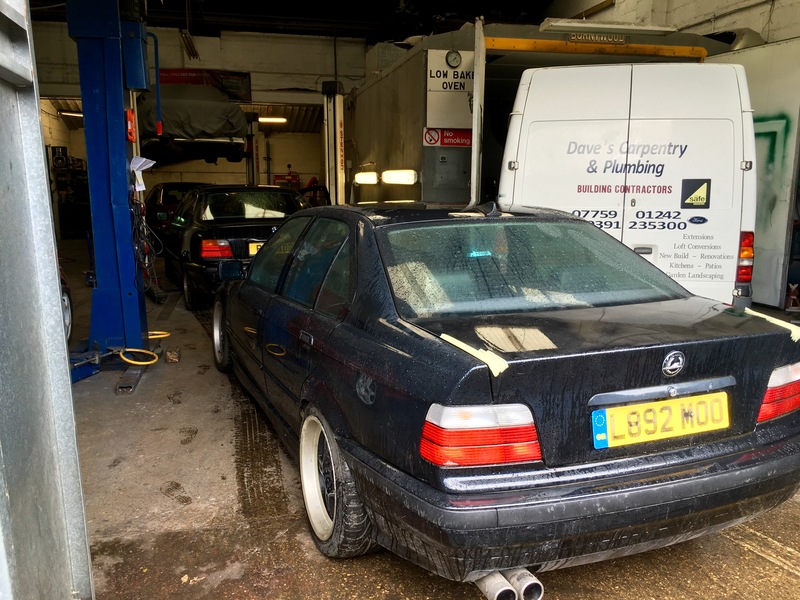 This E36 323i is destined for scrap, due to terminal rust in various structural places on the car. But it does have a 2.3L straight 6 that's handy for parts. 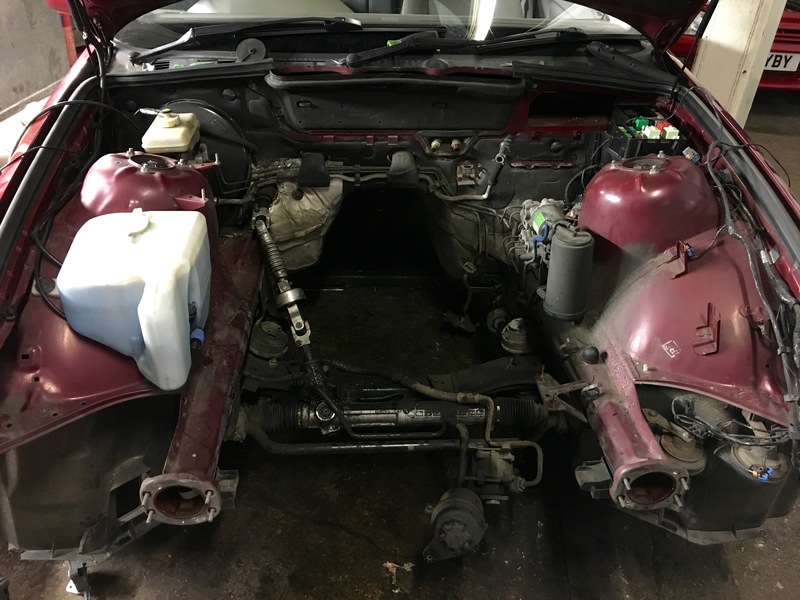 We took the sump off and removed the splash guard, along with the alternator, manifolds and roll bar, since the straight 6 engines require more clearance than the 4 cylinder cars. 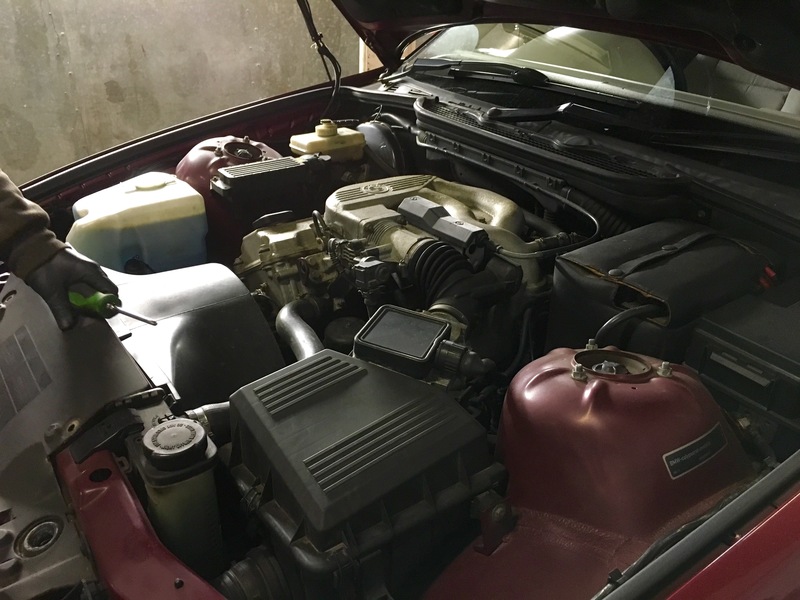 Fitted the new oil pickup and alternator. Had to modify the splash guard to fit since it sits slightly differently on the 2.3L engines. 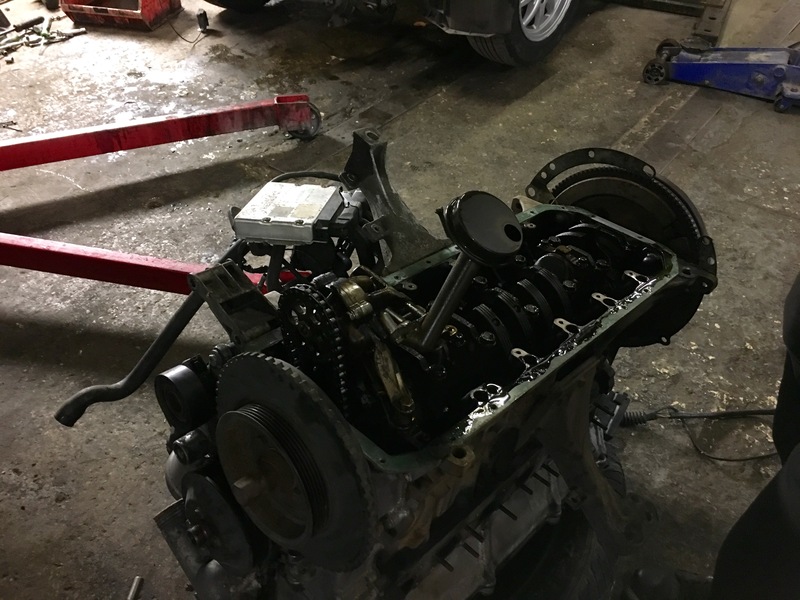 After putting some new engine mounts in, the new engine was lowered into place. It was test started and it all works. 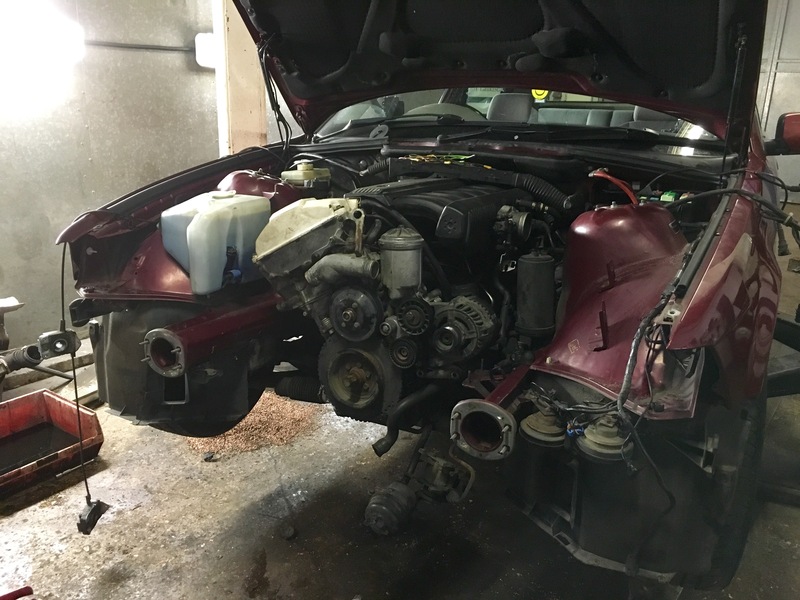 We need to sort out the rest of the wiring and plumbing,before reassembling the front end. Luckily, the entire driveline seems to work. 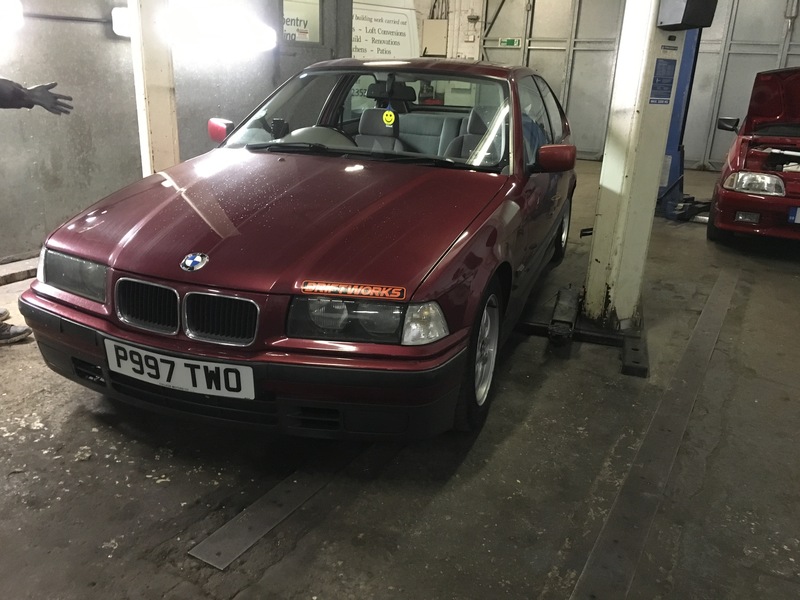 I was a bit concerned about the propshaft length considering that the 2.5L engine and gearbox are longer than the original 1.6, however it all seems to work, I think. Not sure about an exhaust, yet. 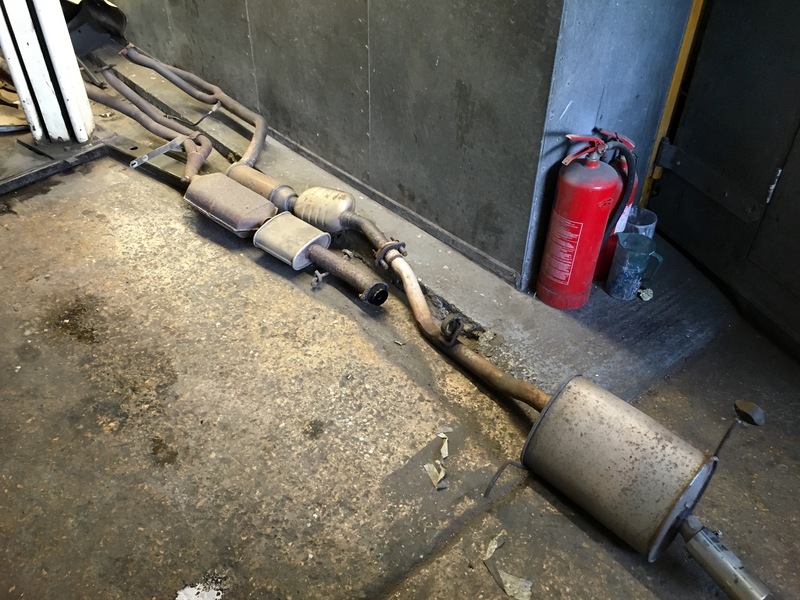 The 2.3L exhaust is slightly longer than the original 1.6, but only by a few inches. The mounting points all seem the same up to the backbox, so we might try and mate the 2.3 front section to the 1.6 backbox. Or try something else entirely. I'm not sure yet. Last Edit: 01 May 2016 20:45 by loopdeloop. Great story/make over. That will be a very fun ride with the new engine. I very much envy how you have a workshop like that at your disposal.